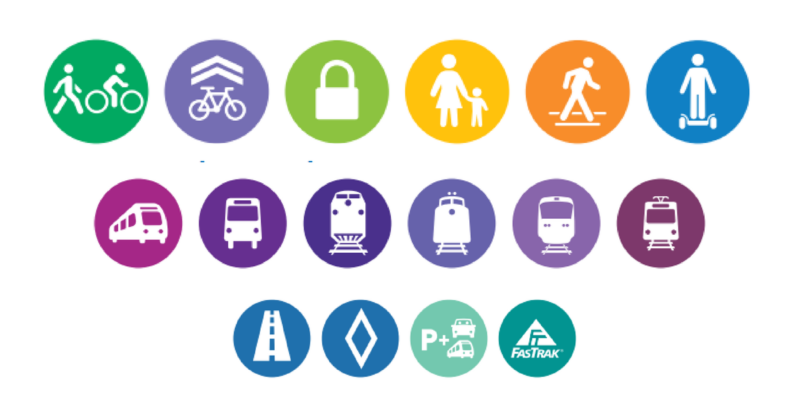 SANDAG is in the process of developing San Diego Forward: The 2019-2050 Regional Plan, which will outline the overarching vision for our region over the next 30 years. 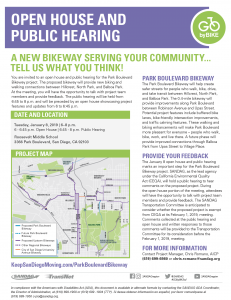 As part of this process, SANDAG is asking for your input on what you think the San Diego region’s transportation network should look like in the future and what transportation issues are most important for your quality of life. This survey is available through May 10. You will have to write in BICYCLE many times on the survey questions. For example, to answer the question "What method(s) of transportation do you use during your daily commute? (Select all that apply. )," Walking and Biking are listed together under Active Transportation. Walking and Biking are transportation modes that use different infrastructure. 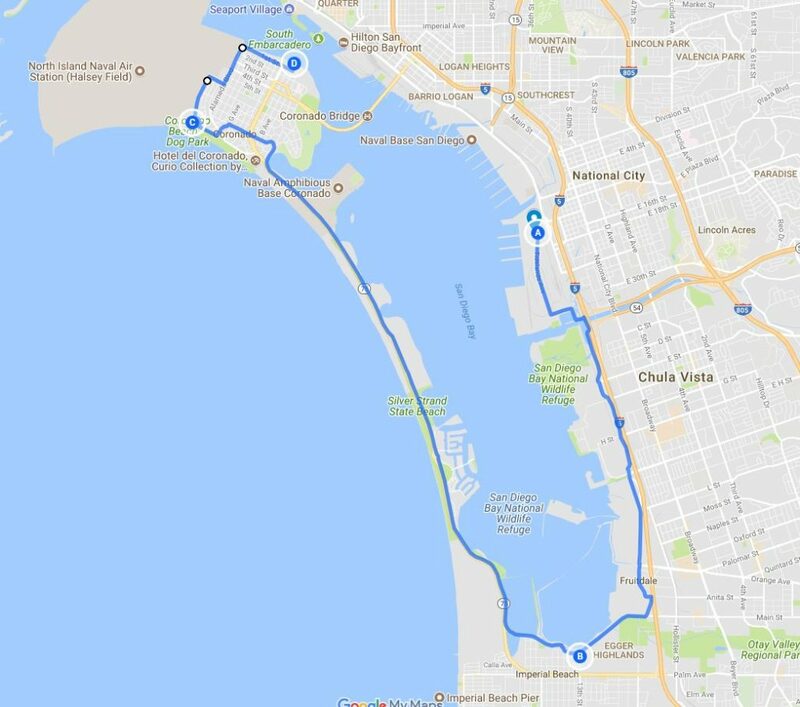 Biking should be its own method of transportation, particularly with such an extensive list that, for example, separates Carpool and Vanpool and has separate categories for Bus and Rapid. There are three comment areas on the survey to comment and reiterate that bicycling is extremely important. Let’s make our voices heard. CLICK HERE for supporting materials for the workshops. "Technology is evolving and has the potential to radically change our region’s transportation system." I am doubtful that technology will radically change the region’s transportation system away from a car-centric approach. Political will could radically change the system, but not technology. Additionally, there is some early research that indicates ride sharing services increase Vehicle Miles Traveled or VMT. Overall the Transportation Themes lean heavily toward a continuing car-centric approach to transportation. The Regional Economic Prosperity Objective includes "investing in transportation projects that provide access for all communities to a variety of jobs with competitive wages." And the Policy Objectives for Environmental Stewardship include making "...transportation investments that result in cleaner air, environmental protection, conservation, efficiency, and sustainable living and address climate change." How do these two policies interact? How is success measured for these policies? On the poster "Reducing Greenhouse Gas Emissions: Passenger Vehicles and Electricity," the regional plan calls for allocating funding to electric vehicle charging stations while the "Local Efforts" poster calls for promoting public transit access, active transportation, parking management, and complete streets. What Do We Want to Promote? What does “Promote” mean? I would like to see “allocate funding for public transit access, active transportation, and complete streets.” Throw out parking management which is a euphemism for “make parking easier”—which promotes driving. This station explains all the benefits from Policies and Strategies if local jurisdictions invest in transportation infrastructure that maximizes public health benefits, social interaction, and community cohesion. The benefits are numerous for increased access to active transportation and public transit, and walkable and bikeable neighborhoods. 2. Are more people walking, biking, using transit, and sharing rides? 3. Is the transportation system safer? These are great questions, the key is how will they translate into performance measures? And how much money will be allocated to measuring the goals? Please attend a workshop in your region or take the online survey and type BIKES! Often, I am asked about what upcoming bicycle project is the most exciting. 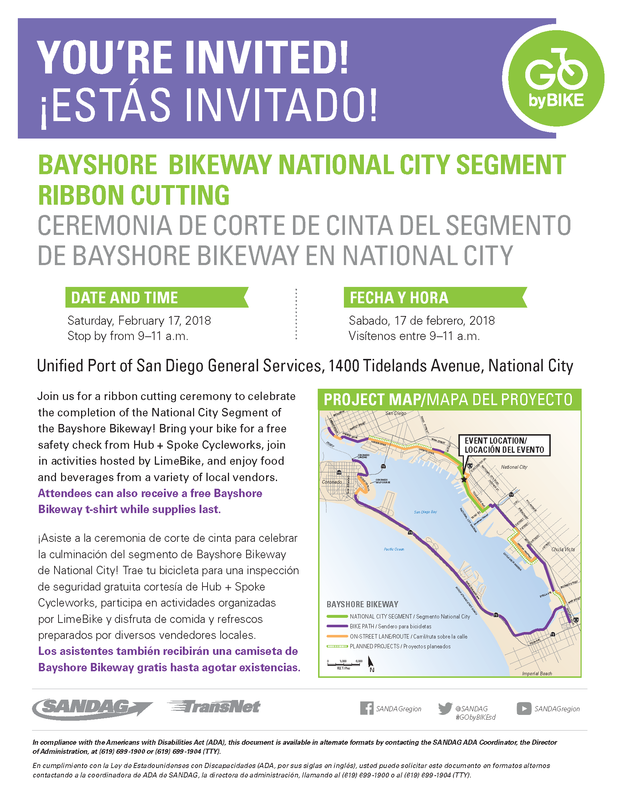 I love all bicycle projects but I often suggest upcoming SANDAG projects. Whether I select Pershing Bikeway or a North Park - Mid City Bikeway, my audience usually groans. Typical responses include “Is that actually going happen?” or “Are the NIMBYs just going to win like they did in Hillcrest?” Frankly, I never have a convincing counter argument. 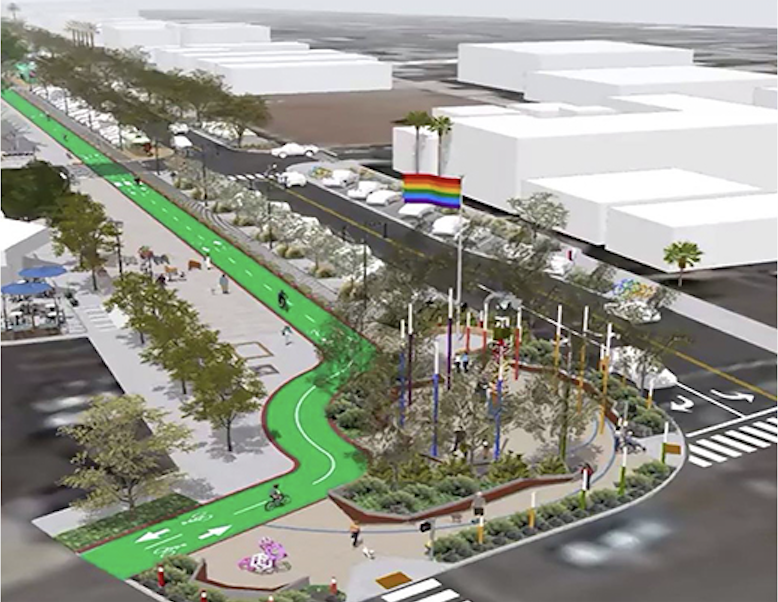 For city of San Diego residents, the highest priority projects, Uptown and North Park Mid City Bikeways, brought a lot of enthusiasm. 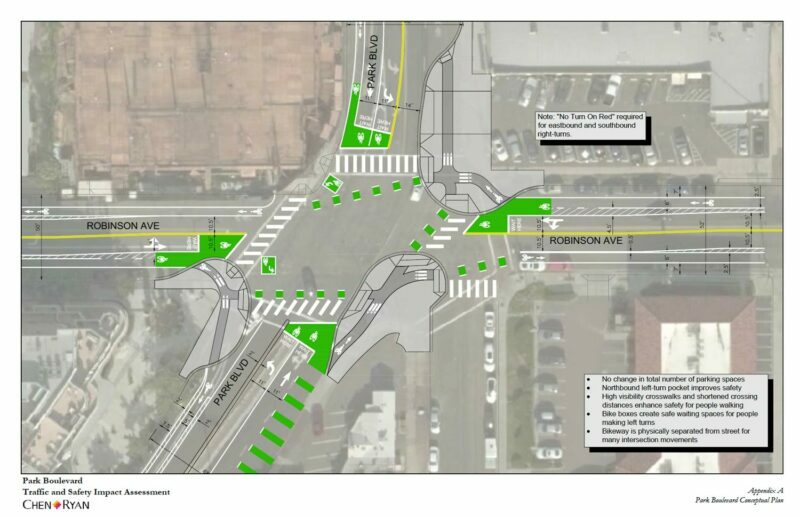 The first outreach meetings for Uptown Bikeway and North Park Mid City Bikeway was 2013. At the time, SANDAG project told the community advisory groups to expect construction in 2016. Currently, neither of these of projects have started construction. In the table below, we highlighted all of the SANDAG current bicycle projects in the city of San Diego. Comparing the past 2 program budgets shows just quickly these projects can be delayed multiple years. 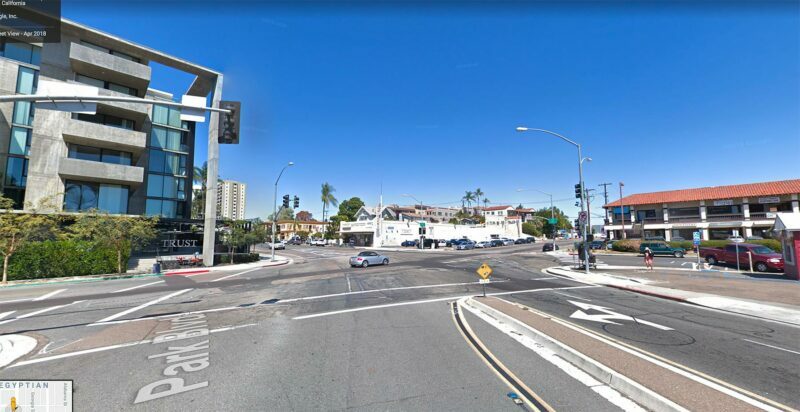 Will SANDAG finish the EAP projects by 2023 as promised? 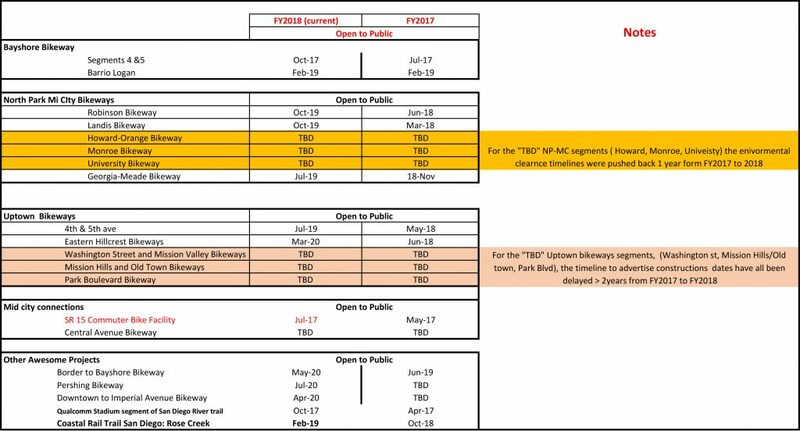 From the FY 2017 to FY2018 program budgets, many bikeways suffered opening delays of greater than 1 year. 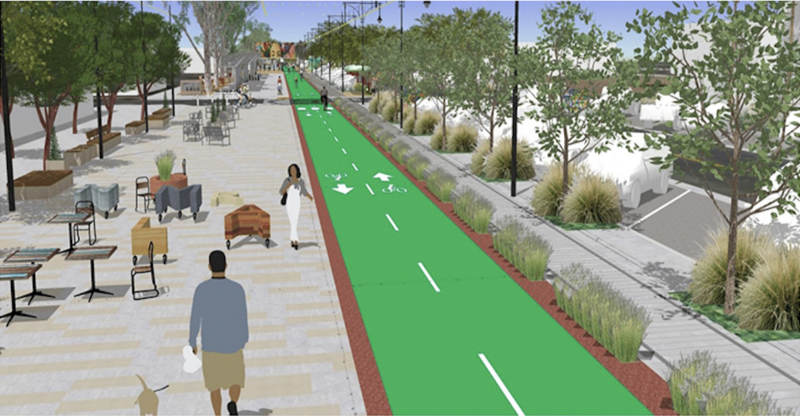 All segments of SANDAG’s EAP top priority projects, Uptown Bikeway & North Park Mid-City, suffered delays of at least 1 year. We understand that project delays occur. Our concern is that delays are related to a lack of political will to get these projects completed. 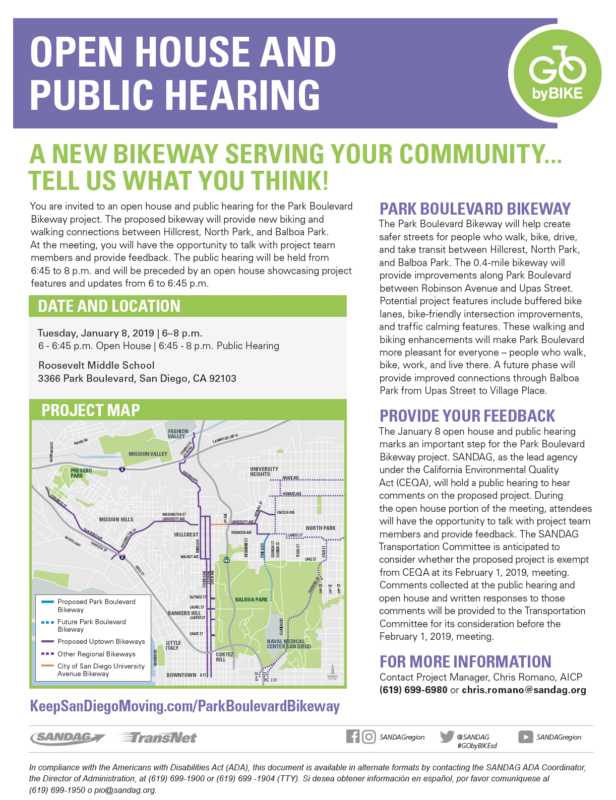 SANDAG staff is directed to spend far too much time mitigating the smallest of NIMBY concerns relating to bikeways. 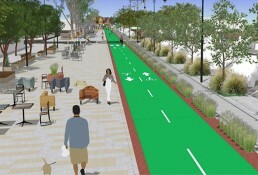 We need City of San Diego elected leadership to champion these projects and demand results. The City of San Diego is represented by Council President Myrtle Cole and Mayor Kevin Faulconer on the SANDAG board. On the Transportation Committee, Councilmember Georgette Gomez represents the City of San Diego. We encourage our elected officials to review the Bicycle EAP progress. 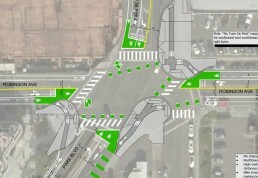 These projects complement the City’s Vision Zero goals and Climate Action Plan.